One of my favourite things about Hannah's current age is her new adoration for animated films. 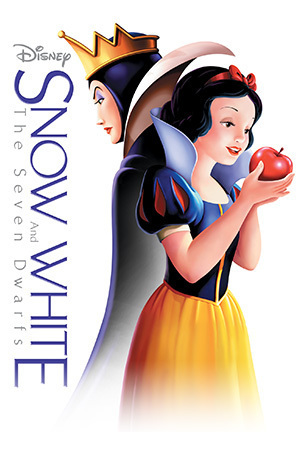 Walt Disney Studios was kind enough to send us Snow White and the Seven Dwarfs: The Signature Collection edition Blu-Ray + DVD + Digital HD recently, which is now available now for purchase. Mommy, who's that? I don't like her. That lady is NOT nice! She's very pretty. She's nice to animals. Why is she scared? Is she OK? I hope she can fit inside. I don't think anyone lives here. I think the 5 live here. I think someone cleaned in there. Why are they upset Mommy? Is Snow White in there? They need to tip toe? Are the seven really worried? Are they going to find Snow White? At this point, she noticed I was writing things down. "What are you doing?" Have your kids said anything spectacular while watching your favourite movies with you for the first time?